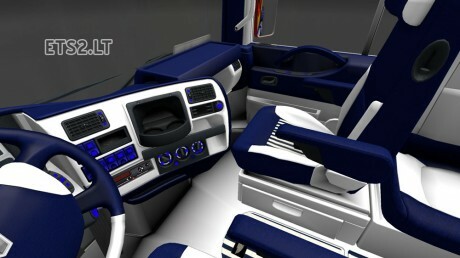 This addon will give you the option to give your Renault Magnum a blue and white interior theme. This mod has been tested by our staff without any problems reported. It was tested with both older and newer versions of the game. However, as will all interior mods conflicts may occur if you are using another mod. Current time: 04-20-2019, 01:34 AM Powered By MyBB 1.8.20, © 2002-2019 MyBB Group.